At Michigan Tech Cru we have many retreats that you can attend. A smaller retreat usually at a cabin or local bible camp. This is a great one night retreat to unwind and hang out with other men in Cru. A smaller retreat usually at a cabin in Copper Harbor. This one night retreat is a great time for the women in Cru to connect with each other on a deeper level. 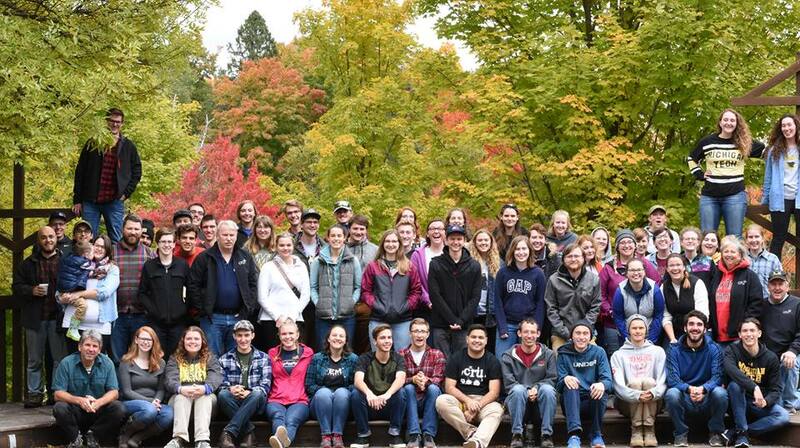 A Large Retreat at Lake Ellen Bible Camp along with other Campuses in the Upper Peninsula of Michigan. It's a great time to escape from school for a bit and recharge while having fun! Here's the website for more info: retreat.mtucru.com.